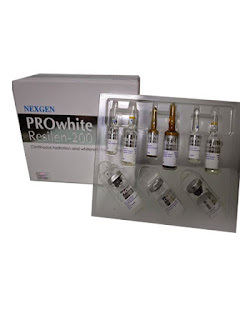 NEXGEN PROwhite Resilen-200 is termed as the “key to the fountain of youth” Resilen-200 a low molecular weight hyaluronic acid,is manufactured by a proprietary fermentation process. This acid is of utmost important to our skin as it makes us look healthy and young. But with age and other external causes, the production rate of hyaluronic acid decreases. It is during this time that we the need Resilen-200 increasing moisture levels and smoothness. 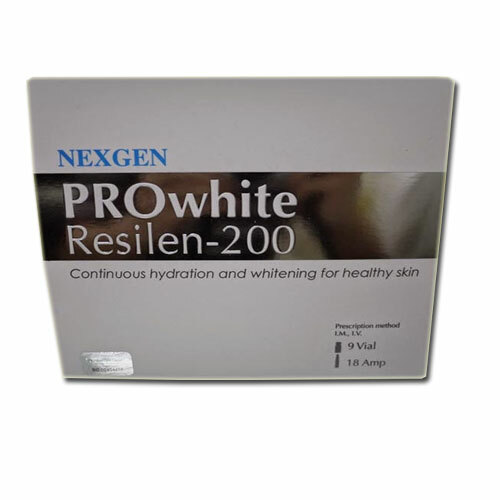 Resilen-200 products use hyaluronic acid in association with vitamin C because the latter helps in effective penetration of the former. Hyaluronic acid is often hailed to have the ability to reverse or sometimes completely stop dryness. This is may be the reason why hyaluronic acid is mostly used in products that promises to treat wrinkles. Resilen-200 which contains a combination of special ingredients created in a South Korea laboratory and product are all designed to moisturise sensitive skin whether it is around the eyes,on the body,face or scalp. It will help keep the skin in good condition and rescue it from dryness.